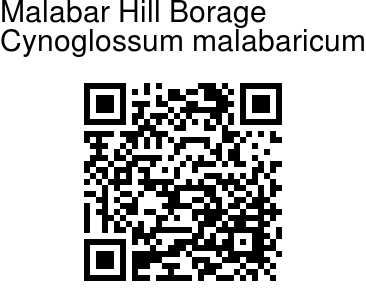 Malabar Hill Borage is an erect annual herb, growing to 1 m tall. The plant is branched from the base, branches are smooth, green. Lower leaves are 10-15 cm, heart-shaped or ovate, alternately arranged on the stem by long stalks 10-15 long. Upper leaves are smaller, up to 5 cm, wedge- shaped, stalkless, and net-veined. Small blue flowers are born in corymb-like racemes at the end of branches. Flower-stalk is short, flowers are 1 cm across, of a uniform dark blue color, cup-shaped. Petals are rounded, veined with purple. Stamens are 5 with short filaments. 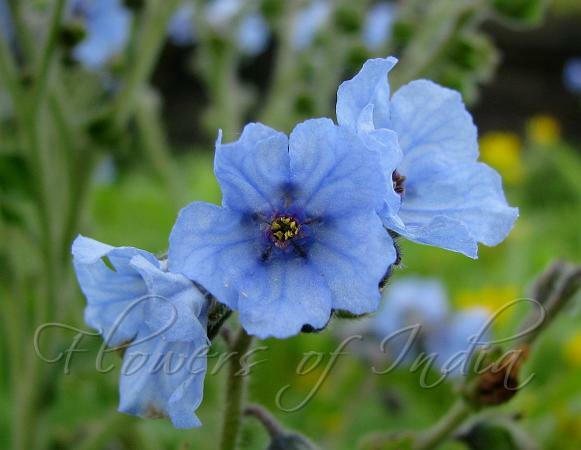 Malabar Hill Borage is seen in Western Ghats. Flowering: August-September.